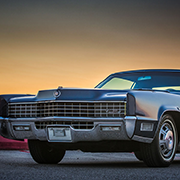 Ash Tray removal | Geralds 1958 Cadillac Eldorado Seville, 1967 Cadillac Deville,1967 Cadillac Eldorado, 1971 Lincoln Continental Mark III and 1978 Cadillac Eldorado Biarritz. 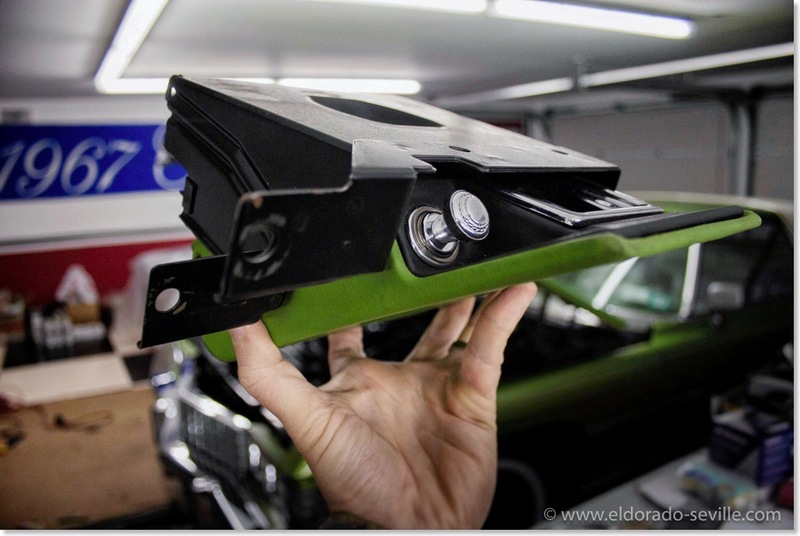 I took a little break from the restoration work on my 74 Coupe deVille, after the problem I had with the flaking paint on the undercarriage, to motivate me again. 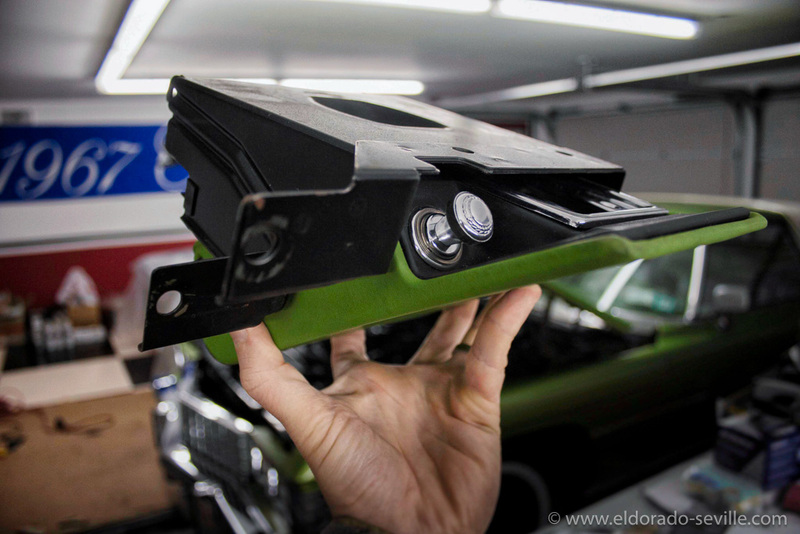 The first work in 2016 was to remove the radio of the 1974 Coupe DeVille to repair it. 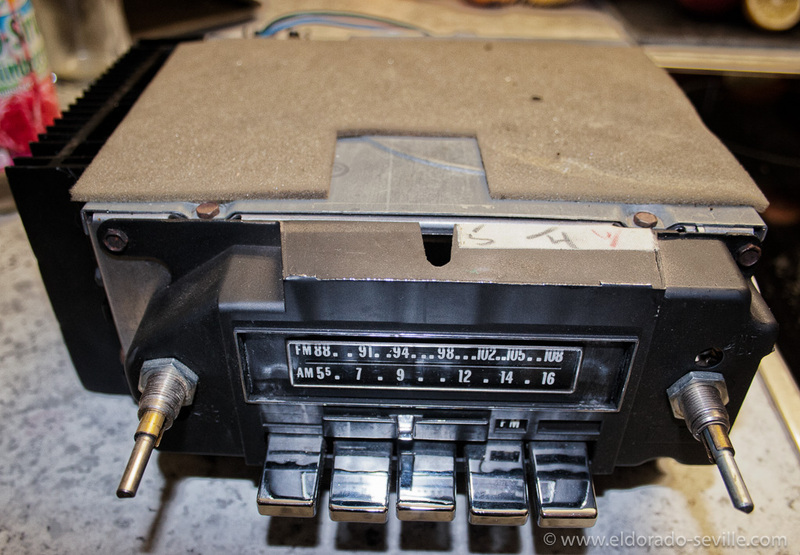 The radio basically works, but the volume dial is a little quirky and sometimes does not work as it should. The radio sometimes only comes to life if the volume is turned to maximum. The 8 track and AM/FM reception all work like they should. Also 3 speakers do not work at all, and I have to find out if the speakers themselves are defective, or if the radios output has a problem. 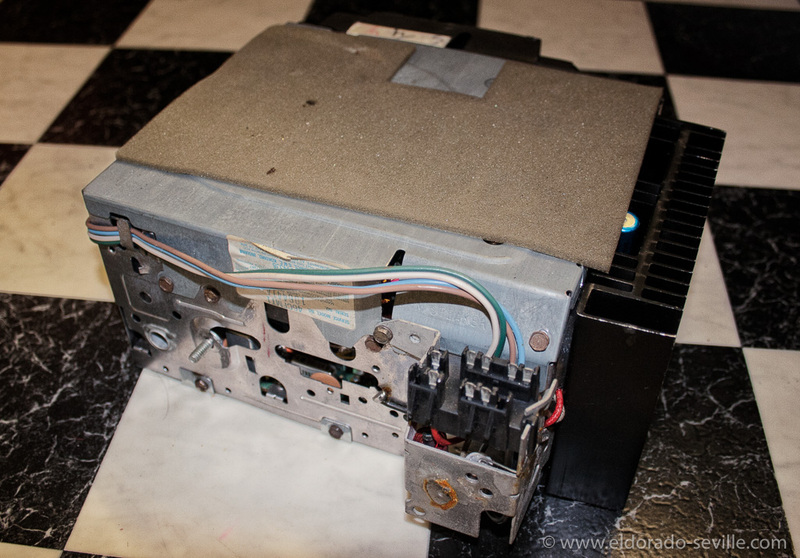 Its more likely that the speakers are defective after so many years, as the membrane tends to dry out, get very brittle and tear apart. 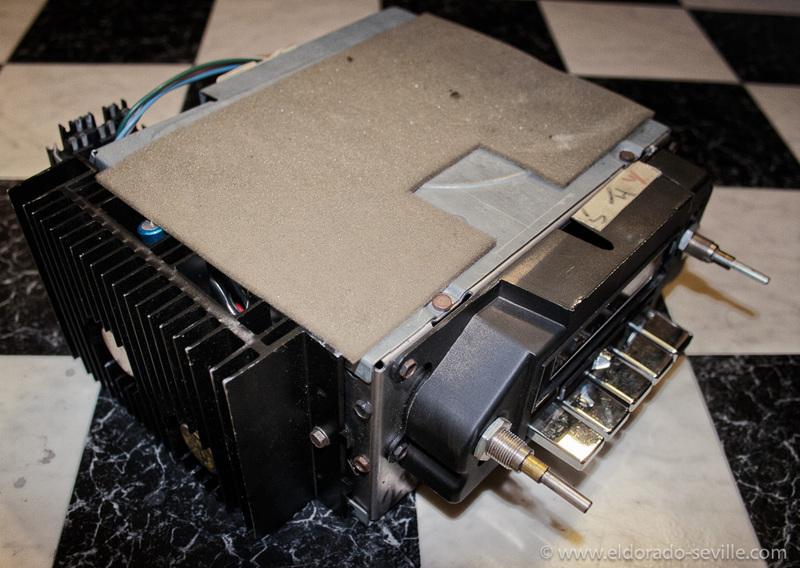 So far I had to change the speakers and/or repair the radios on most of my cars when I got them. Remove the lower steering column cover - there are 4 screws on top of the cover and 4 screws on the lower edge and one in the door jamb facing the drivers door. Then remove the ash tray assembly. There are 4 screws. You have to put your head underneath the dash to get to all of them. For the one on the right side you need a 5/16" nutrunner or socket with 3" extension. 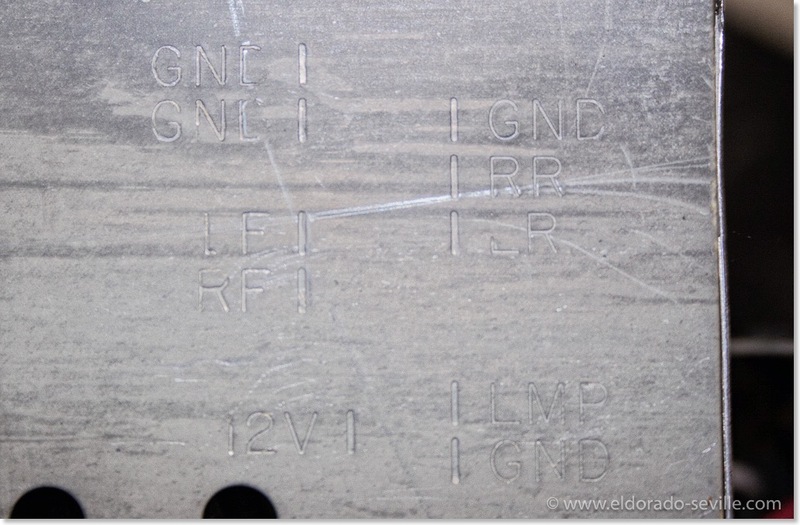 Work from lower edge of instrument panel to get to it. 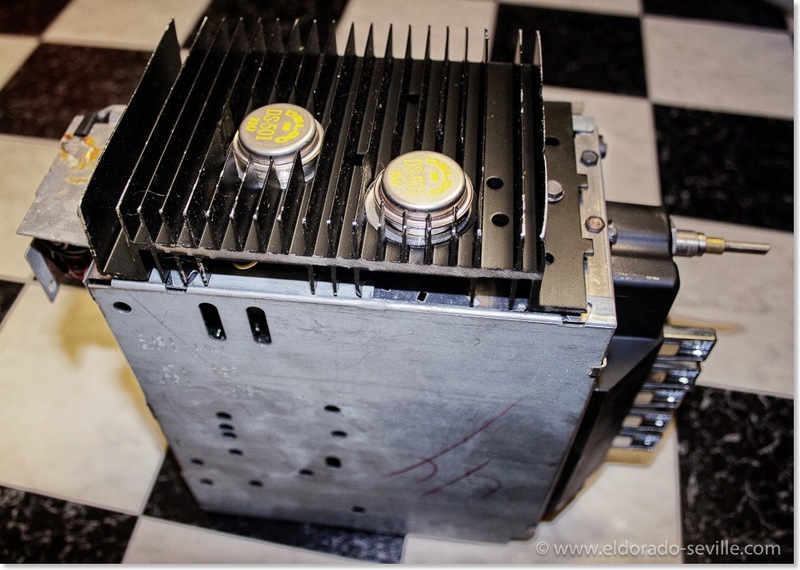 Then disconnect the electrical connector and bulb. 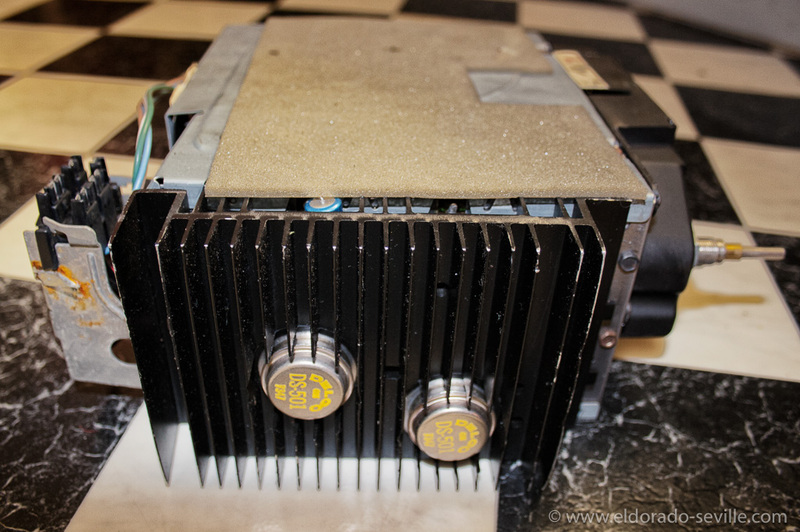 Remove the radio knobs, wave washers, control rings and hex nuts. 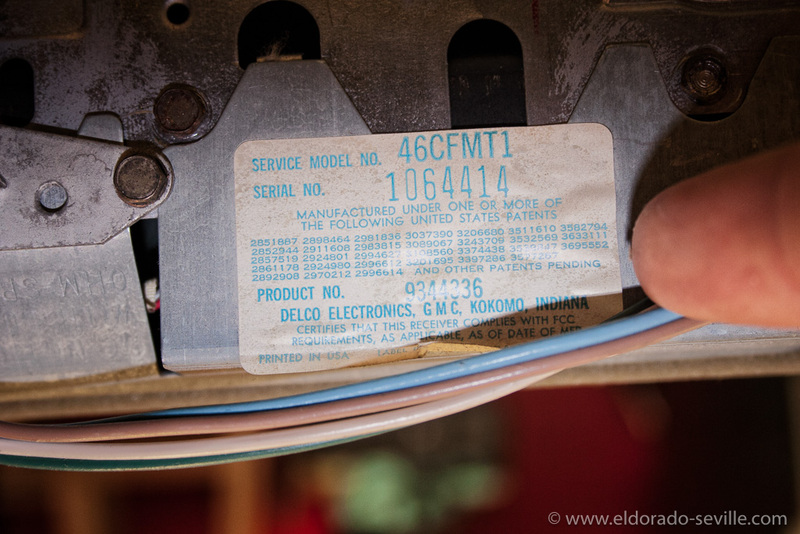 Remove radio to lower instrument panel support brace nut at rear of radio. Loosen brace to support screw and rotate brace to the right. Slide radio from instrument panel and disconnect antenna cable, speaker connector and power connector. Rotate dial side downward and lower the left hand side of the radio. Remove through ash tray opening. 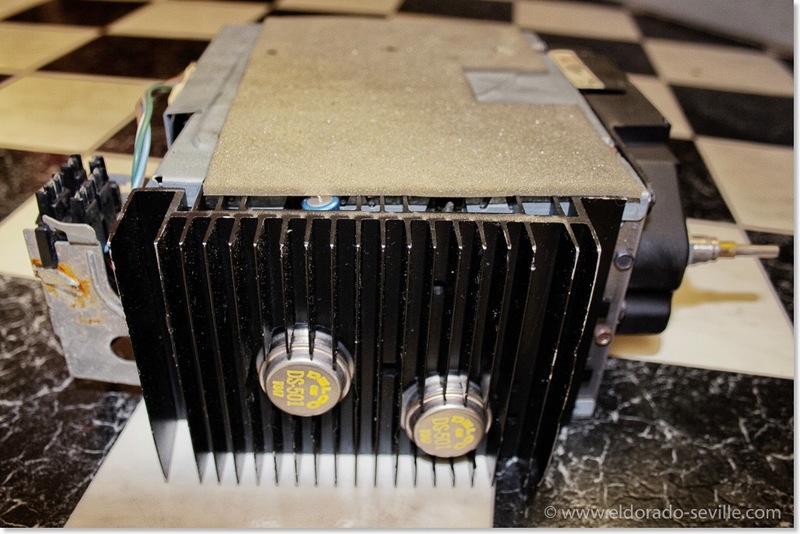 The radio is now out, and I will hand it over to my friend Steve, who will have a look at it, and see what he can do. 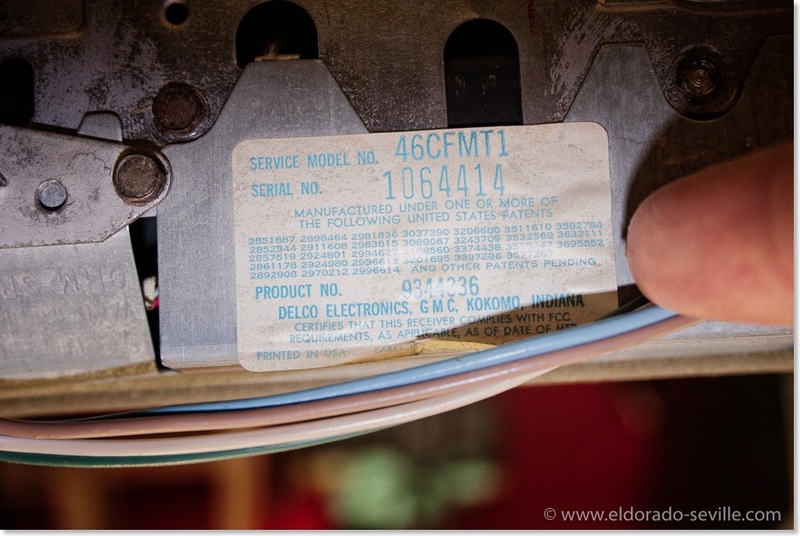 He already successfully repaired the radio of my 78 Eldorado. He is a genius, and I´m very glad to have such fantastic and talented friends. 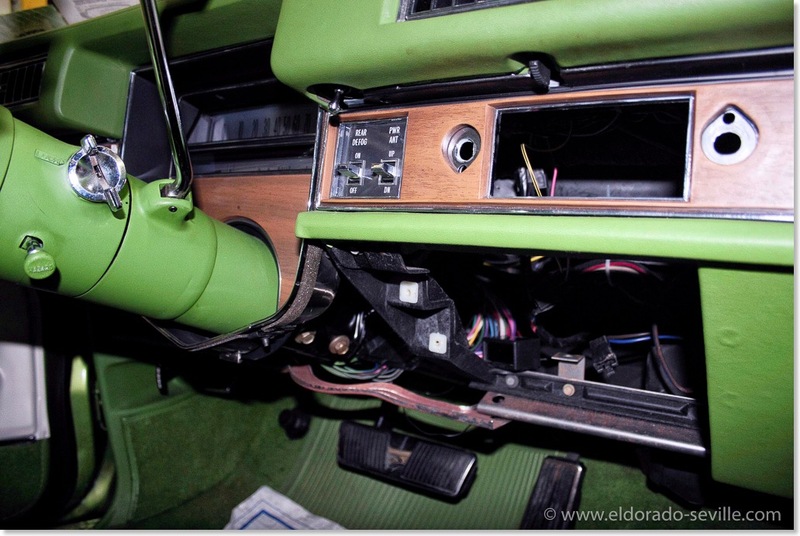 You have to remove the lower steering column cover and the ash tray, to be able to get the radio out. 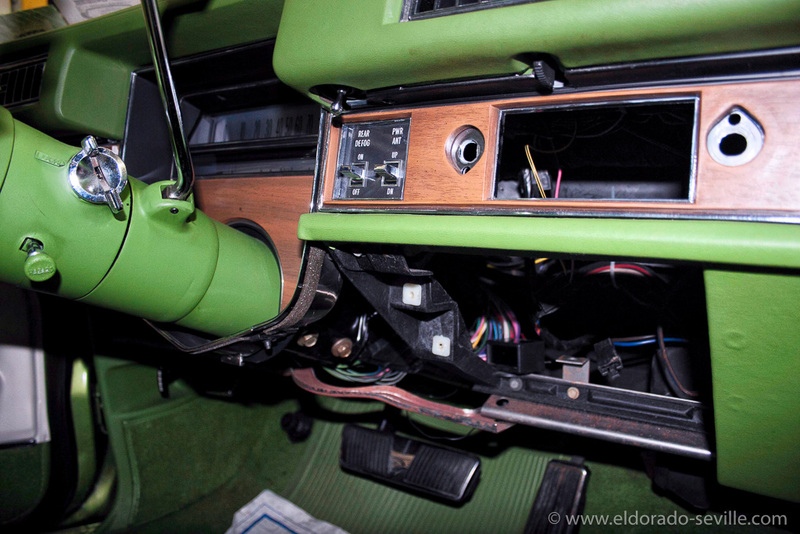 On this picture you can see the removed lower steering column cover and the removed ash tray assembly. The removed ash tray assembly. 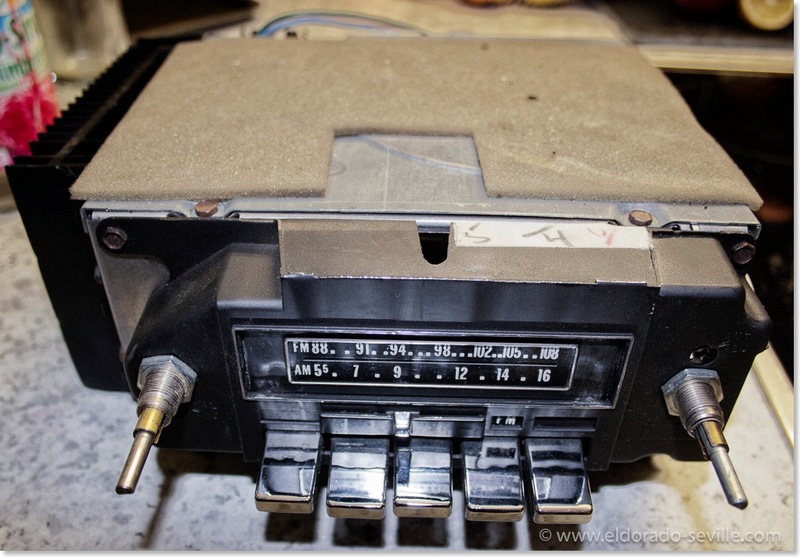 This is the 1974 Cadillac stereo radio with 8 track tape player. 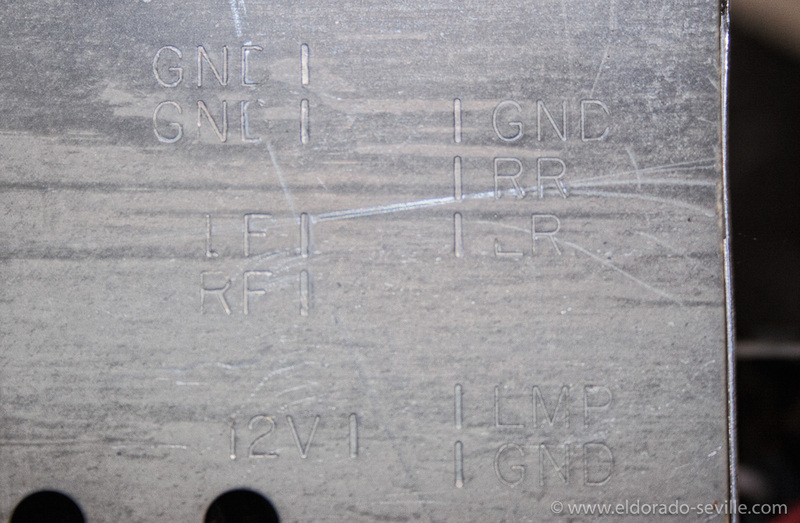 This shows where the wires in the connector are going to.